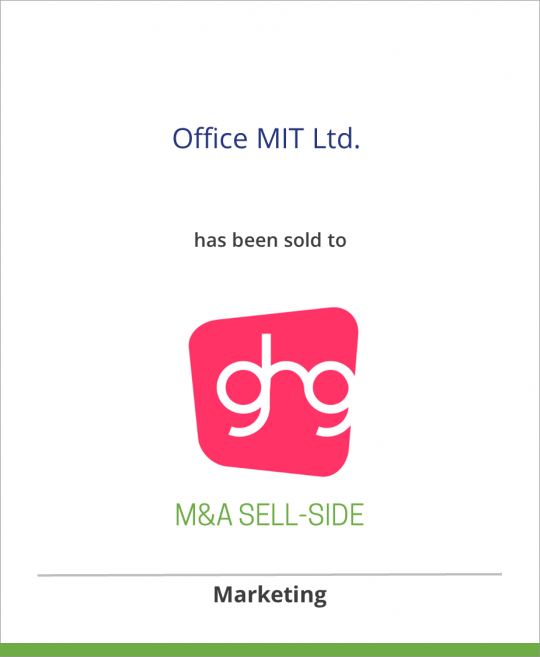 Office MIT Ltd. has been sold to Grey Healthcare Group Inc.
Office MIT has been sold to Grey Healthcare Group Inc.
Based in Tokyo, Office MIT Ltd. is widely respected as one of Japan’s leading providers of medical communications, ethical promotions and continuing medical education programs to Japanese and international pharmaceutical companies. Key clients include Eli Lilly, Zeria Pharmaceuticals, Janssen, Pharmacia, and a variety of others, including Solvay, Roche (Chugai), Bristol-Myers Squibb and Novartis. Office MIT was founded by Mr. Hisayoshi Umezu in 1992 and is believed to be among the ten largest agencies in Japan. Office MIT offers a full range of services and products to its Japanese clients and to international pharmaceutical clients operating in Japan. Grey Healthcare Group, Inc. – a subsidiary of Grey Global Group, Inc. – is a fully integrated worldwide healthcare communications company that serves clients around the world. The company operates in 83 countries, providing its clients with services and expertise over a number of communications disciplines. Grey Global Group Inc., incorporated in 1925, operates as an advertising, communications and marketing services company. It specializes in mass market advertising, media planning and buying, direct marketing, healthcare marketing, public relations and public affairs, sales promotion, graphic design, corporate communications, event marketing, interactive communications, channel marketing and retail advertising support, as well as product branding.